DOTmed.com - Is there life after EOL for medical imaging equipment? Is there life after EOL for medical imaging equipment? It’s news that may come as a bit of a shock to imaging directors and others in healthcare technology management (HTM). One day, the manufacturer of a key piece of medical imaging equipment in your facility notifies you that the system is about to reach end of life (EOL). This means you’ll no longer be able to secure a service contract with the OEM to maintain the equipment, and you must pay to get it serviced under “time and materials,” if that’s an option at all. You’re warned that technical support for this model is being phased out and reliable replacement parts could be hard to find. To ease your concerns, the OEM likely points you towards a newer version of the system. A sales rep may even offer to buy back your old device and give you credit towards the updated model. But the truth is, EOL does not mean the end for medical imaging equipment. In many cases, these systems can still be a valuable part of your install base, especially if you have a strategy for servicing and repairing the equipment without the manufacturer’s involvement. This wasn’t always the way medical imaging equipment manufacturers operated. I remember when many OEMs wanted decision makers in healthcare technology to view the procurement of their products as an investment in something long-lasting and of the highest quality. equipment continue to provide value? 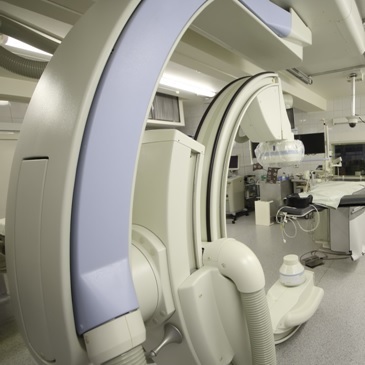 Yet, while OEMs such as Siemens, Philips and GE still provide top-of-the-line imaging systems, they are much more likely to encourage imaging directors to frequently upgrade their equipment. In fact, the sales cycle is as short as two years. That certainly seems like an awfully brief timeframe for a piece of technology that can cost hundreds of thousands, if not millions, of dollars. A former colleague of mine, who once worked as a field service engineer (FSE) for a top OEM, recalls a time when his employer focused on profitability by servicing quality equipment so it could maintain an install base in its customers’ facilities. But in recent years, he saw the focus on equipment service diminish. FSEs were cut as the manufacturer expanded its offering, focusing instead on product development with new options coming out each year. The manufacturers didn’t come to this sales strategy on their own. In many ways, they are simply giving their customers what they desire: the very latest in medical imaging technology. Many hospitals and imaging clinics want to be able to make the statement that their facilities have the latest and greatest equipment with all the features and enhancements that make them appear to be the most innovative and experienced option for patients in need of imaging services.